Cosworth offers three types of beacon system; Single channel (‘C1’), 10 channel (‘C10’) and 32 channel (‘C16S’), that utilise coded infrared signals to mark end-of-lap and split beacon points on a track. A beacon transmitter operating in lap mode is positioned at the end-of-lap point on a track for lap time, and with the C16S system, a number of beacon transmitters operating in split mode can be placed around the track for split times. The ‘C1’ single channel system uses a beacon receiver with the logger output fixed at channel 0 only. The ‘C10’ ten channel system supports 10 channels on the ‘logger’ output with an end of lap only ‘ECU’ pin always working on channel 0. 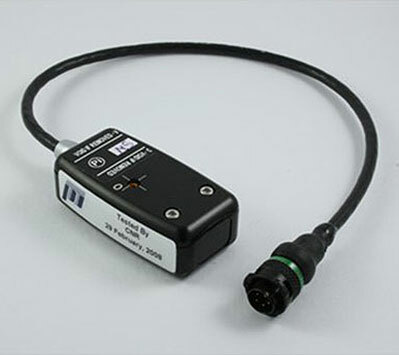 The 32 channel system supports 16 split channels on the logger pin and 16 lap end-of-lap only channels on the ‘ECU’ pin. The ECU pin is configured to work on channel 0 unless an alternative variant is specified at point of order. The beacon receiver gives an output when it recognises a valid split beacon code or end of-lap code and an LED indicates when a valid code is recognised.